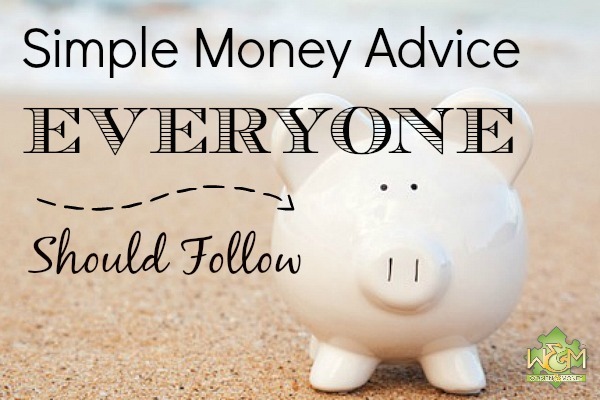 Simple Money Advice - Women and Money Inc.
Below are some of the most common but smartest ‘money clichés’ that you’ve probably heard – and maybe some that you haven’t! 1) The quickest way to double your money is to fold it in half. This sage piece of advice really breaks down to this simplistic way of thinking: if you want to save money, stop spending. Put those bills back in your pocket and put away your plastic. Money trickles through people’s fingers because they can’t stop spending. Really thinking about your discretionary spending – not going to grab that daily coffee, for example – is one fast way to financial security and prosperity. This popular adage is well known for a reason. People who put away their money into a savings account or into an emergency fund are more likely to stay out of the red if a financial surprise pops up. By paying yourself first, you ensure that all of your needs are met. Oftentimes I see individuals that dole out too much of their paycheque towards debt repayment, which leaves them with a shortfall for the rest of the month. The consequence? They have to rely on credit to fill the gap, which results in a cycle of debt and repayment. Ensure that you allocate an adequate amount towards debt repayment so that it actually gets paid down in a realistic time frame (aim for 5 years or less), but don’t overextend yourself. 3) Never loan money that you expect to get back. If you’ve ever lent money to family or friends and lost the relationship over it, you already know this one to be true. Throughout my career I’ve seen many personal relationships sabotaged by the lending of money – of course, only when it’s not paid back. Truthfully, lending money to friends and family is really not a great idea, for obvious reasons. But here’s another not so obvious reason – if the person can’t pay it back, for whatever reason, they may feel guilty for taking it in the first place. Avoid the awkwardness, resentment, and confusion that often accompanies personal loans by only lending money that you can afford to lose. 4) Pay for everything in cash. This is a good one for people who are trying to ebb the steady stream of money that seems to flow out faster than it comes in. In this day in age, however, the high cost of housing and post-secondary education make some forms of debt unavoidable. Paying for every day household expenses in cash is a great way to jump start your savings and track your spending. Putting the brakes on using your credit cards will encourage you to stop unnecessary spending and plan ahead for your purchases. Ensure that you have a tracking system in place for your cash, because we all know how quickly cash seems to disappear. Every time that you buy something, you are exchanging a piece of your life for material goods. ‘Your life,’ in essence, is truly your time, as it is the only finite resource that you have as a human being (besides the natural resources of our planet). So, when you purchase that new nail polish, book, or kitchen gadget, you are really saying “I am willing to give up my time for this item.” Obviously we all have to give up our time for possessions – we have to have a home to live in and clothing to wear and food to eat. However, it seems that many people have forgotten a basic principle – the more time that you spend working to buy things that you don’t need, the less time you have with family and friends. Your time can be spent enriching your life through relationships, hobbies, interests, volunteerism, travelling – whatever makes you content. Use your time and your money wisely. Money advice is everywhere these days, but sometimes it is the basic advice that truly resonates and sticks in our minds. Write your favourite pieces of advice down in your journal, on your blog, or on notes on your fridge. Pause and reflect on the true essence of the message that you are reading. What is your favourite piece of money advice? Please share with us!